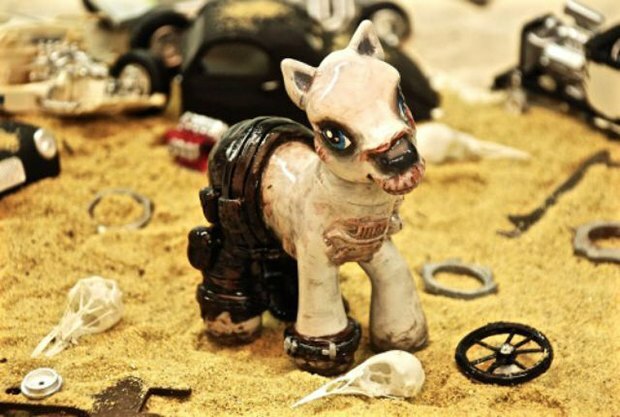 Artist Kelsey Wailes has created spooky renditions of My Little Ponies inspired by Mad Max: Fury Road using polymer clay, paint, and possibly an aerosol chrome. 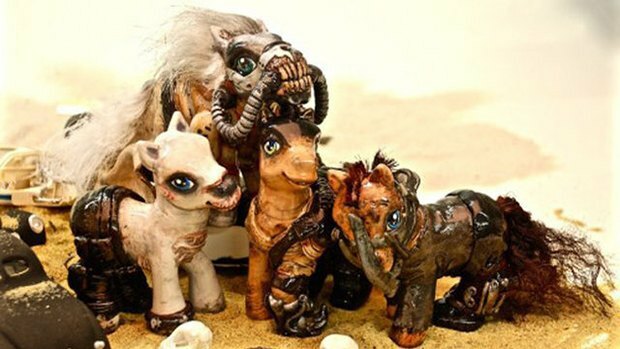 She has previously done interpretations of The Dark Crystal, Pacific Rim, and Doctor Who. 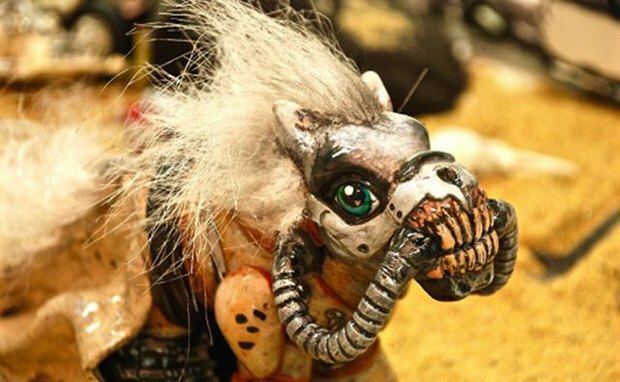 The Immortan Joe one is particularly disturbing.